If you like “Shark Tank,” you won’t want to miss this! Launch at the Library is excited to announce the first-ever Young Entrepreneur Program Pitch Competition for high school students (13–18) and young adults (19–25). Based at Champaign Public Library, the Young Entrepreneur Program (YEP) is an award-winning, innovative curriculum that seeks to engage, empower, and educate Champaign County high school students and young adults through entrepreneurship. Through a series of interactive seminars and collaborative workshops throughout the year, experienced mentors guide participants through the process of turning their innovative ideas into viable business opportunities. The pitch competition is the capstone project for both the high school series and the eight-week accelerator program for young adults. Made possible with support from the Champaign Public Library Foundation. 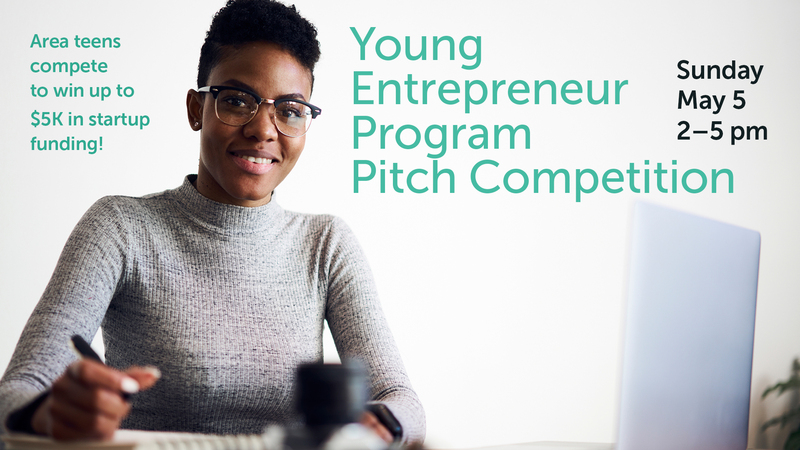 For more information about the Young Entrepreneur Program Pitch Competition and Launch at the Library business services, contact Stephanie Pitts-Noggle, Business Specialist, at (217) 403-2078 or via email. Launch at the Library also hosts monthly discussions with area entrepreneurs and business mentors: Third Thursday Business Roundtable (8–9:30 am).